the 2018 mazda6 sedan was awarded the insurance institute for highway safety's second-highest accolade this week: top safety pick. the award applies only to grand touring reserve and signature trim levels equipped with curve-adaptive led headlights. 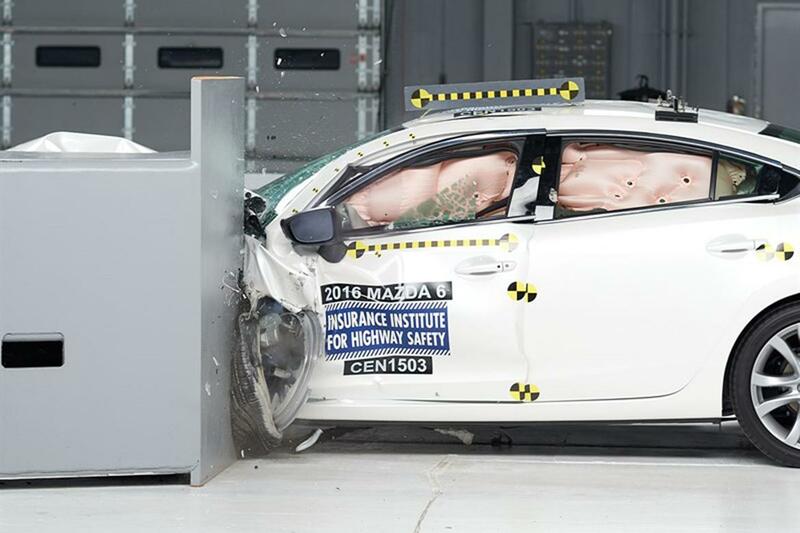 the mazda6 was let down by its headlights in testing, having earned the highest-possible rating — good — in all crash tests, as well as the highest rating for crash avoidance and mitigation — superior. unfortunately, the mazda6's optional headlights could only manage an acceptable rating, and other lesser trim levels manage only a marginal headlight rating. had the mazda6's headlights received a rating of good, it would have been awarded a top safety pick plus, iihs' top honor. to qualify for a top safety pick award, a vehicle must be rated good in five crash tests, including driver-side small overlap front, moderate overlap front, side, roof strength and head restraint evaluations — as well as receive an advanced or superior rating for crash prevention and mitigation and an acceptable or good headlight rating. a top safety pick plus vehicle does all that, but also scores acceptable or good in passenger-side small overlap crash tests — the mazda6 was rated good in that test — and must receive a good headlight rating. missing out on top safety pick plus status could hurt the mazda6 as a number of significant competitors have received the award for the 2018 model year, including the hyundai sonata, kia optima, subaru legacy and toyota camry. like the mazda6, however, only specific trims and option packages enable those cars to qualify.